Lynn Fucci is a USTA Central Arizona volunteer and board member. 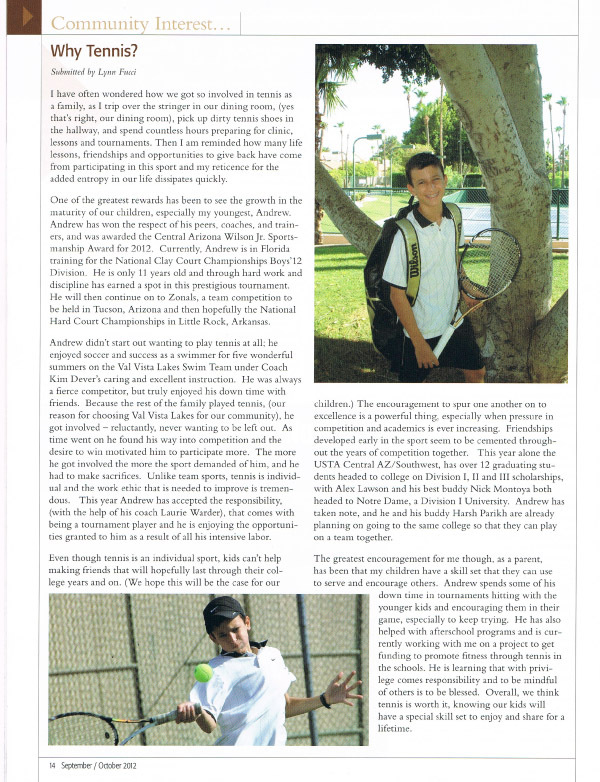 Her sons Christopher and Andrew both play USTA tournaments. Lynn recently penned an article for her local community homeowners' association newsleter in Val Vista Lakes (Gilbert, Ariz.) extolling the virtues of the sport. Check it out below.